Recently joining the newly formed Music Television network owned and operated by entertainer and businessman Sean “Puffy” Combs, Inga serves as the Senior Vice President of Business & Legal Affairs. Launching Nationally in October of 2013, Revolt is set to make television history by targeting the creators of this generation. As Senior Vice President of Business & Legal Affairs Inga has established the networks standards & practices in all areas of business & legal affairs including, but not limited to, talent and format acquisitions, production agreements, rights agreements, content license and distribution agreements, third party integration and sponsorship agreements, web development agreements, all REVOLT vendor agreements, and other agreements in connection with the development and production of television programming and the annual Revolt Music Conference. REVOLT, along with Inga and a newly formed team of industry veterans, will represent the architects who define culture and influence society. They are set to build an empowering platform for artists and their audience. Prior to joining REVOLT, Inga served as Senior Counsel for BET Networks. As Senior Counsel, Inga was, amongst other things, the primary liaison between BET and CBS for the re-launching of the record breaking cable television hit “The Game”. On a day to day basis Inga was responsible for the business and legal affairs for BET’s Original Programming scripted department. As Senior Counsel, Inga worked closely with executives in all departments of BET, from Programming, Development, Creative, Media Sales, Finance, Marketing and Corporate Communications. Inga also handled various production matters including, but not limited to, music clearance, new and social media matters, third party content clearance, talent agreements, development deals, scripted programming writer and director deals, and current production and finance issues. Inga’s list of shows included BET’s hit primetime sitcoms THE GAME, REED BETWEEN THE LINES, BEING MARY JANE, and THE START UP as well as future original/scripted programs in development. With more than fifteen years of success in business and legal affairs, Inga has also worked with Warner Chappell Music, Magic Johnson Enterprises, and Spike TV negotiating competitive and precedent setting deals. Inga has also worked as a solo practitioner generating more than 10 million dollars in endorsement deals for professional entertainers and athletes. Before settling back to her hometown in Los Angeles, California, Inga received her Bachelor of Arts in Communication from Howard University and her Juris Doctorate from Howard University School of Law. 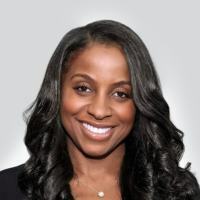 Inga is a member of the California Bar Association, the Los Angeles County Bar Association, the Black Entertainment & Sports Lawyers Association, Screen Actors Guild, and an active member of Delta Sigma Theta Sorority, Inc.